Technology is with us everywhere. From our phones to the smart technology in cars, our world would cease to function without utilizing some form of technology each day. Museums too have been diving into this techno-gadget society. Digital learning has become just one of the many buzzwords floating around. Beyond the apps, though, museums and cultural organizations are looking for ways to engage with this growing, diverse society. How do museums engage with technology successfully? How do museums continue to be relevant in a society ruled by technology? Hopefully, this post will answer these questions by providing some tips and insight on how any history organization can utilize technology. We do not have to venture past Ohio’s state lines to see how museums have been using technology. For example, the Cleveland Art Museum’s Gallery One has transformed the public’s interaction with the artifacts. However, large institutions are not the only ones that have become involved in this movement. Just look at our some of the Alliance’s members. Museums such as the McKinley Presidential Library and Museum, the Dennison Railroad Depot Museum, and the Shaker Historical Society are just some of our many members who have all found ways to use technology. Their initiatives include museum interactives , social media sites, and websites. “Interacting” with museum goers is not limited to the technology used when visiting the museum. Technology can truly be engaged by anyone at any time, as social media sites and countless website builders can help to produce an experience before the visitor even arrives. From my own experience in collaborating with the Ohio Veterans Home Museum, utilizing technology can help a museum to better interact with the community it serves. It gives individuals a new way to develop a relationship with museums, not just at the museum but also from the comfort from home. Here are three suggestions for implementing technology in your organization. If you do not already have one, get one! With countless options available, web design can take your engagement with your museum goers to a whole different level. A website can help you to connect with new donors and volunteers. Yes, websites can be expensive. A website should be seen as an investment, not an expense. In order to offset the cost, consider fundraisers and grants. Hosting fund-raising events dedicated to the construction and maintenance of the website is a great way to get the community you serve involved. On the other hand, there are also a number of grants that can be used for technology. Some of the many grants include the National Endowment for Humanities Implementation grants, Spark! Ignition Grants from the IMLS, and many more. Investing in a website in the long run will provide a greater connection between you and the public. Probably one of the biggest necessities today is social media. Pew Research Center reports that over 74% of American adults utilize a social networking site. 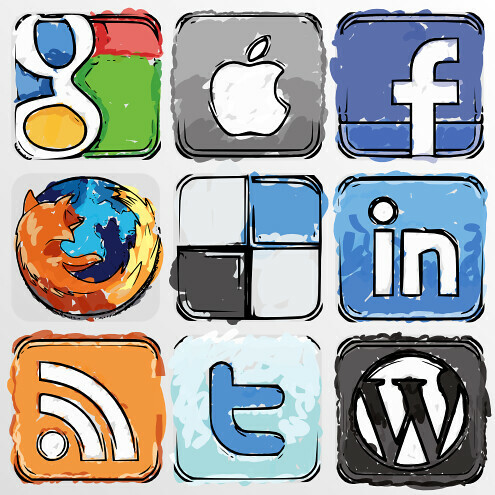 These social networking sites include Facebook, Twitter, Pinterest, Tumblr, and Linkedin. If you are not utilizing social media within your organization, now is the time to learn how to effectively use it. The point of social media is not to annoy your potential visitors or donors but to engage with them and get them talking about your organization. Facebook is probably one of the best sites to start if you are new to the practice. It is easy to use. You can easily set up posts to post when you are not able to do them yourself plus you can network with so many other organizations. Facebook is a wonderful platform for your organization to highlight objects from its collections, upcoming events, and new developments within the organization. With any resource, though, it is important not to spam your followers as you engage with them. If someone sends you a comment or message, respond to them if you are able to. It shows you care. No matter what types of social media you use, make sure that people know that you use it! According to Pew Research Center, in 2014, 90% of American adults have a cellphone and 58% have a smartphone. So what does this tell us? A lot of people use cell phones. Yes, but there is so much more than that. People are looking to engage with organizations through mobile resources. Some mobile technology that has been introduced by museums includes the use of QR codes, apps, and mobile phone guided tours . If you are looking to do something new and different with visitor engagement, then this is the way to go. Technology should be seen as a way for innovation, not distraction. Through technology, our world has become even more of a global society. This global presence requires new techniques. Engaging with your audience is important, and technology is just one more way to “talk” with your community. Megan Smeznik is currently contracting with the Ohio Local History Alliance to improve their technology presence and is a museum educator for Hale Farm and Village. This article does not address the technology gap that exists in many, if not most, smaller historical societies and museums. Indeed I have not seen it addressed anywhere. Members and perhaps more importantly volunteers do not have smart phones or even computers. They are older and can run screaming when asked to work on computers as volunteers. They would rather clean the restrooms. Then the board refuses to fund hiring anyone who can use a computer, leaving a lot of work undone or on the shoulders of the one or two who are computer literate. The last local museum I worked in did not even have a telephone line, let alone an email address or a website. If you’re lucky, a phone number is hung in the window during the many hours the museum is not open. The very good advice in your blog simply is not relevant or understandable to the people in charge.